A journey back in time at Companhia das Lezírias. 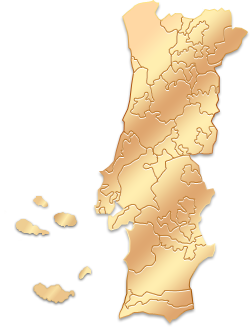 The Company of Lezírias, established in 1836 in the reign of D. Maria II queen of Portugal, is located about 20 minutes from Lisbon, occupying a vast territory from the Crown, Infantado and Crown estates ,one of the the most important ecological protection areas in Portugal. The vineyard is planted within its forest, maintaining a close relationship with this ecosystem, rich in natural biodiversity and subject to studies and monitoring done in partnership with several institutes and universities. It is in this context that its range of wines has been structured, where the brand Tyto alba occupies a prominent place (Tyto alba is the scientific name of the barn owl) and very awarded. The Company of the Lezírias has bet on the sustainability, developing a project denominated Commitment ABC 2020 (+) Environment (+) Biodiversity (-) Carbon, bringing these themes to the production of wines. A place where you can buy the products produced at Companhia das Lezírias. A space where you can taste the flavors of the Tagus Valley. Companhia das Lezírias is located at Samora Correia.